"10 years ago on Sydney Harbour"
Indeed it is now a new era, with new challenges in a number of areas, so alas this juncture is the time for sailors to firmly take control of these very elements, and jump onto the Executive, as well as the Board. The Class has been around for a while, and that is solely at the hands of the many who served so graciously along the way. You name names here, and you are bound to miss someone, so I won’t. Everyone is busy. Sometimes I wonder how we did it to ourselves, but there you have it. Funny how you always make time, especially when help is required, and this too is yet another Etchells hallmark. All of us also contribute gratis to many things, but if it wasn’t worthwhile, then no one would do anything, and there would not even be the opportunity to be writing this, or reading it in your case. I do look forward to speaking with those that do make the next leap up, so for now, here endeth the lesson. Tacking. Actually, it is somewhat of a crash tack, actually. Unless you have a large rock, and you built a shelter under it ages ago with plenty of provisions, then you will know that the World Championship in Brisbane is looming large like the lights from the massive cargo ship on the horizon as it bears down on you. A quick reminder that entries close on September 14, so run forward and make it so. 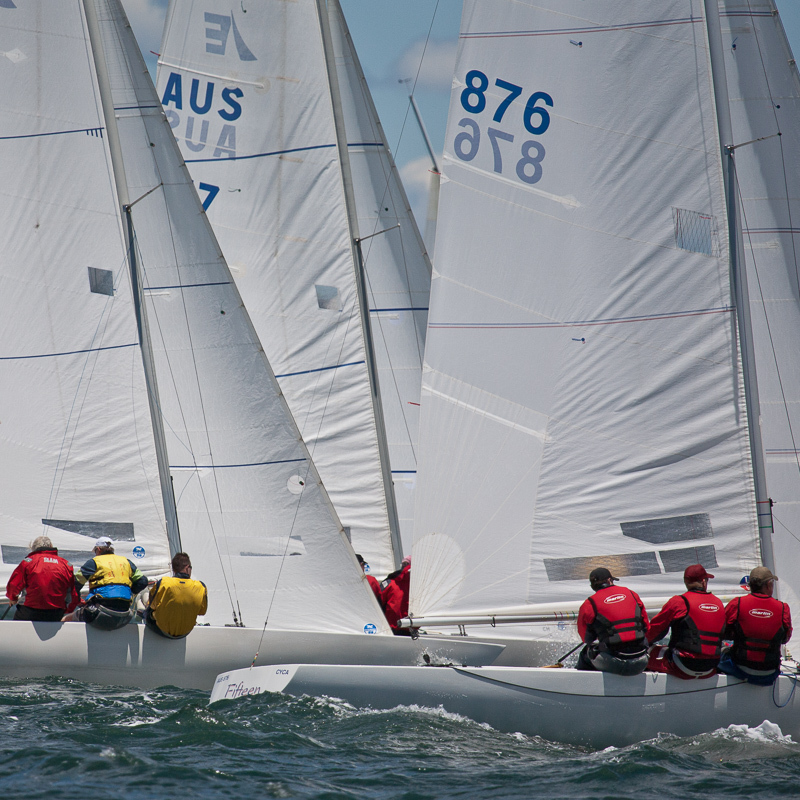 It looks like over 80 boats will be at RQ, which is terrific in light of the numbers that have shown up to recent Etchells Worlds, and it certainly does make a statement about the Class overall. Well done to those who have made the commitment to be there. Trying to work out who will reign supreme is a job I would not even begin to work on, but it is so interesting to learn so much about the kinds of crews coming to what really is going to be bigger than Ben Hur. Now Cecil B DeMille obviously cannot be there to make an epic, but alas, this is exactly what we are referring to. Boats have already begun to arrive, the competition will be hot, hot, hot, and the gang will look after everyone in their typical manner. What I love about it is that you have crews coming from the UK and USA, amongst other locales, and one, Les Freak sont chic, is competing in their third in a row! That is a mark of serious commitment.